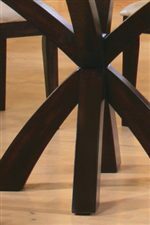 This sophisticated casual dining table and chair set will look stunning in your home. 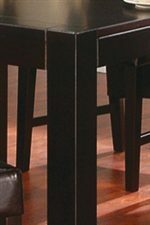 The elegant pedestal table base features multiple crossing supports, in a rich Cappuccino finish that is sure to complement your home decor. The smooth beveled edge glass table top above adds just the right amount of chic style, for a casual contemporary look that you will love. Matching dining side chairs feature sleek vertical slat backs and seats covered in soft tan microfiber, creating a luxurious dining set that will transform your space. 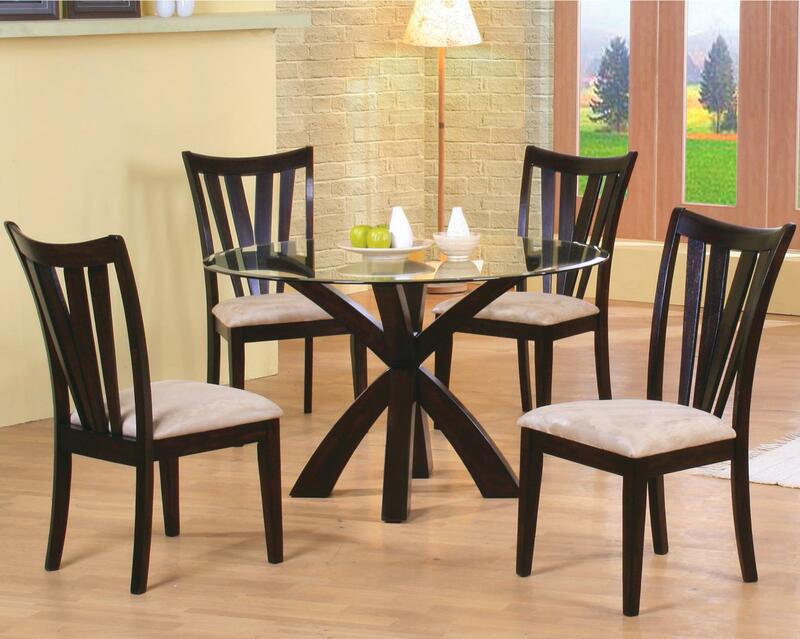 The Shoemaker 5 Piece Dining Set by Coaster at Michael's Furniture Warehouse in the San Fernando & Los Angeles area. Product availability may vary. Contact us for the most current availability on this product. Case Detail Clean lines, smooth edges. 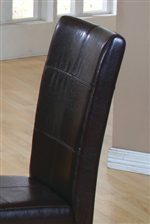 Description: Top Smooth straight edged wood tops or sleek round beveled edge glass tops. The Shoemaker collection is a great option if you are looking for Contemporary furniture in the San Fernando & Los Angeles area.